UK based composer and sound designer Dominik Scherrer gives us his opinion on the RME Fireface UFX II, RME’s latest flagship audio interface. Dominik Scherrer is an award-winning London based composer and sound designer, who’s written music for a number of well-known TV shows and independent films. His TV credits include Primeval, Agatha Christie’s Marple, and most recently Amazon’s fashion drama The Collection. He also wrote the award-winning score for the BBC / Amazon’s Ripper Street (2014 Ivor Novello Award for Best Soundtrack), and his score for the BBC / Starz’s The Missing received a Primetime Emmy Nomination in 2015. Along with his work for TV, Dominik has also composed the soundtracks for several British independent films, including the award-winning Nine Lives of Tomas Katz, Scenes of a Sexual Nature (Ewan Mc Gregor) and the Italian All About You (Charlotte Rampling). 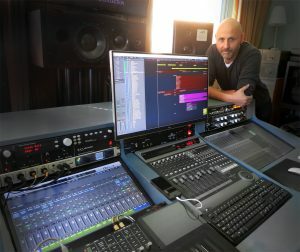 He mainly operates out of his Crimson Noise Studio in the Old Truman Brewer in Spitalfields, London, which he recently upgraded with the RME Fireface UFX II audio interface. "The components of my setup keep changing, but the objective has now been the same for a long time", Dominik told us. "In my room I need to do the following – composing, mixing in stereo and 5.1 surround, and recording solo instruments, up to a string quartet. For larger ensembles, piano, and orchestra I record in outside studios, more often than not at Angel Studios. For a long time my set up was based around ProTools HD hardware, with either Pro Tools or mainly Logic as a front end. This Logic TDM, as it was called, was the preferred setup for many composers, combining Logic’s MIDI capabilities with Avid / Digidesign's latency-free recording and DSP audio processing. But Apple then gradually abandoned the platform. At the same time, I had been using various RME Hammerfall PCI and PCIe cards for years on my slave PCs, which hosted my sample libraries. They always performed well, so it was a natural progression to look into RME for native interfaces. I started with a Fireface 400 as a test. This was all working fine, also running Pro Tools HD, so eventually, I got the Fireface UFX." however when the UFX II was announced I took the opportunity to upgrade to the better converters." With RME choosing to retire the Fireface UFX earlier this year, Dominik felt it was time to upgrade to the new RME Fireface UFX II. Boasting the same extensive feature set of its predecessor, the Fireface UFX II combines everything that was great about the UFX with RME's latest technological developments, further improving the sound quality with the latest AD and DA converters, preamps and headphone amps, and expanding the functionality with the new Advanced DURec feature, direct connection for the new ARC USB (Advanced Remote Control), and faster FX DSP to provide longer reverb and delays. "The old UFX sounded great and has been great in every other way, however when the UFX II was announced, with the slightly higher specs, I took the opportunity to upgrade to the better converters. The first six outputs are connected straight to an ATC 5.1 monitoring system, with 3x SCM50ASL for left, centre, right, and SCM20s for surrounds, and an ATC SCM0.1/15SL subwoofer. Permanently patched in are also an API 2500 compressor, an A-Designer Hammer equaliser, a Bricasti M7 reverb (via AES), and four channels of DAV microphone preamplification, with the UFX II hooked up via USB 2 to an 8 core 2013 Mac Pro. I'm also making extensive use of RME’s TotalMix FX software – it lives on a dedicated display, together with RME’s DigiCheck metering software. 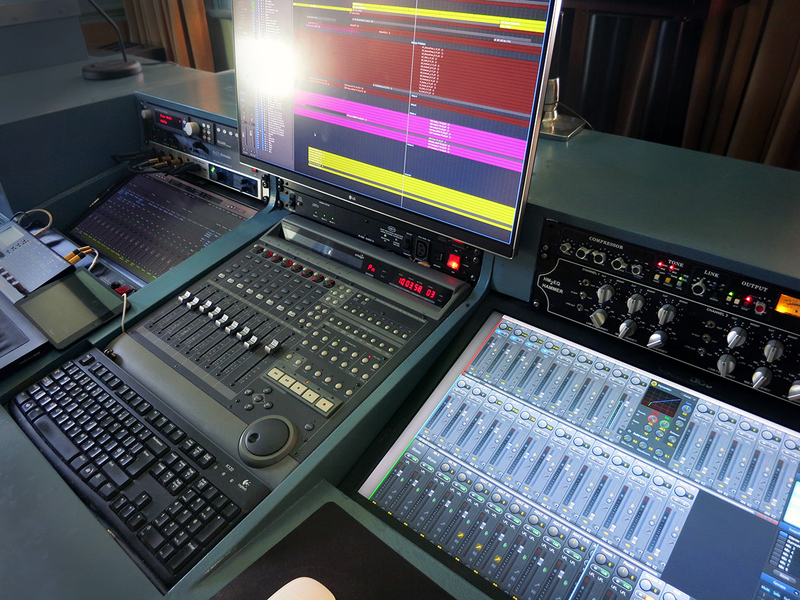 TotalMix handles all the monitoring, including the level control, and the headphone mixes. I was happy to get rid of all the patchbays and simplify the setup! Thanks to TotalMix I can still provide zero latency artist mixes, and the software’s own reverb comes in handy for the artist’s headphone mix too." TotalMix FX is RME’s comprehensive routing and mixing control software, which essentially turns the UFX II into a full-blown digital mixing desk, complete with EQ, Reverb/Delay and Compression on every channel. Each channel features an independent EQ and compression section, M/S processing and phase invert, plus stereo reverb and delay effects sends for creating the perfect headphone mix to provide musicians during a recording session. Other functions include creating fader groups for level control, soloing and muting, saving mixer states for easy recall, plus the Loopback feature, which allows for any of the Fireface UFX II's channels (inputs, outputs and software playback) to be routed to one another with zero latency. "With the TotalMix faders at unity, the room is calibrated for an 85dB SPL monitoring level, which is pretty loud but it discourages me from running levels too hot. For mixing I generally lower the faders by 6-10dB to mix around 75dB. The 5.1 surround monitoring control is also handled by TotalMix, and for stereo I can choose either 2.0 or 2.1 (including the subwoofer). DigiCheck is then used for 5.1 level metering, balance, and phase correlation check, and the Fireface UFX II’s software controlled gain settings are useful too. My normal settings are -10dB, but if we want it loud for a session then we switch them to +4dB. With all this, I really see no need for analogue monitoring control." RME's DIGICheck software is a sometimes overlooked feature of RME's line of professional audio interfaces. Free to all RME users (you can download it from RME's website here), DIGICheck is a suite of highly accurate audio analysis and measurement tools that will be of benefit to anyone working in recording, mixing, mastering or broadcast. The set of tools includes comprehensive multi-channel level metering (peak and RMS), plus a spectrum/frequency analyser made up of 30 bands that features freely adjustable rise and release times, customisable display modes, different filter types, and precise level information all the way down to -140 dBFS. There’s also a correlation meter and vector scope for checking the phase relationship of stereo signals (and for checking mono compatibility); a loudness metering tool for checking against the IT 1770 / EBU R128 standards commonly found in broadcast; and a Surround Audio Scope for surround sound level metering with extended correlation analysis, ITU weighting and ITU summing. For more information about RME's DIGICheck, see the RME Fireface UFX II manual entry here. Our thanks to Dominik Scherrer. To find out more about his work as a composer and sound designer, visit his website here. If you'd like to know more about RME's pro audio solutions, give us a call on 01727 821 870 to speak to one of our team or to arrange a demo.